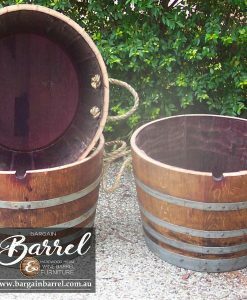 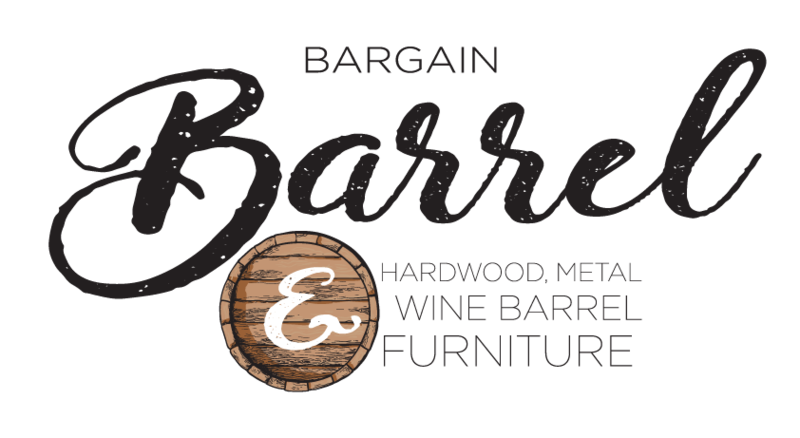 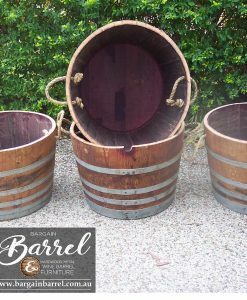 Our signature half wine barrels with the additional clean and coat present better for appearance and over time last longer. 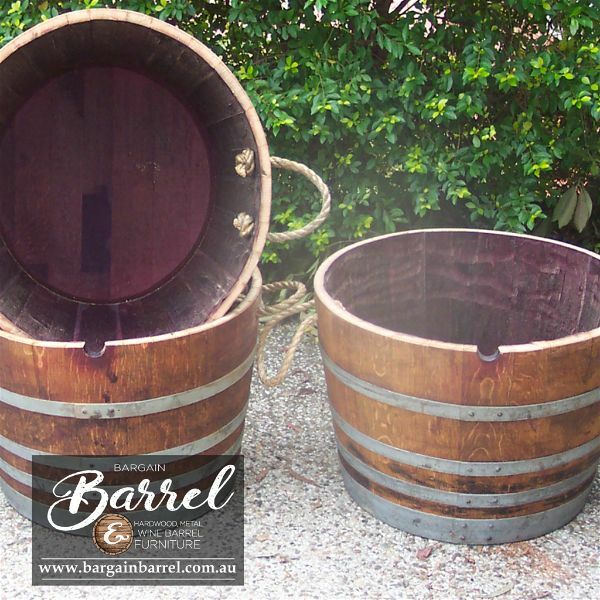 Our authentic Half barrels make ideal pots for large Barrel Planters, Ponds or Chiller Bins as eskies. 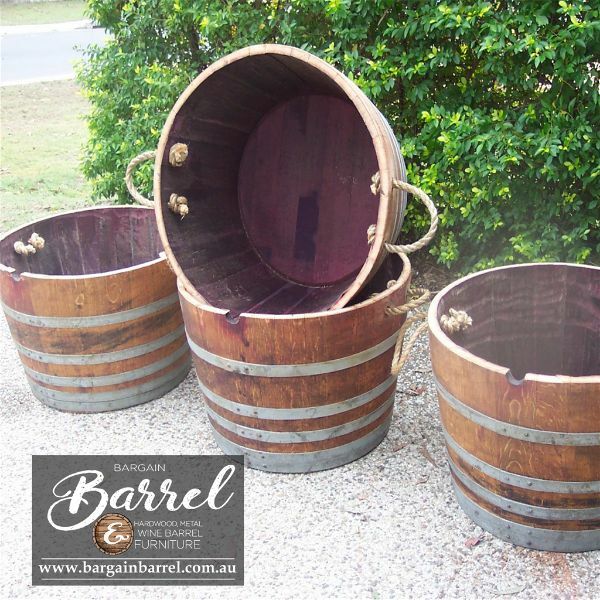 The additional clean and coat includes, extra stainless steel screws in the bands to maintain the integrity and finished with two coats of natural decking oil. 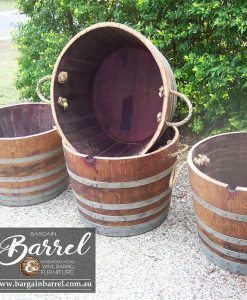 The value represents half the purchase price of a full barrel with the extra clean and coat service. 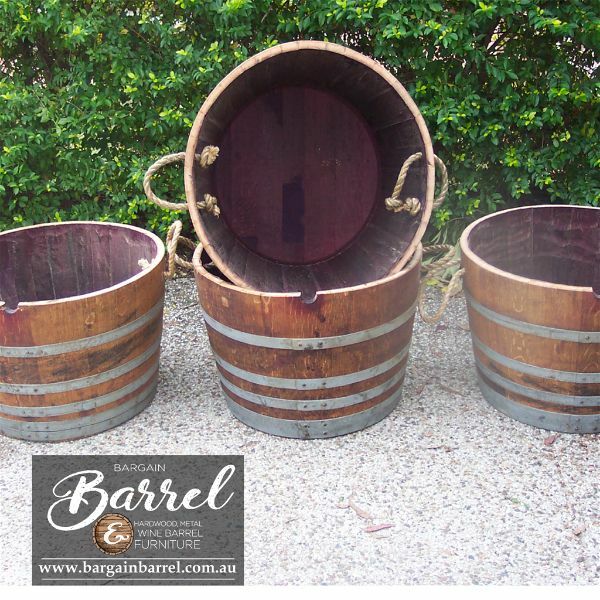 It is important that our valued customers inform us the desired outcome of their Half Barrel, so we can assist with meeting their expectations. If the budget is tight or you enjoy small projects like the clean and coat then please feel welcome to contact us for a Half Barrel Natural without the clean and coat.